Before you know it the turkey will be carved and the tree will be trimmed. Now onto the holiday shopping! 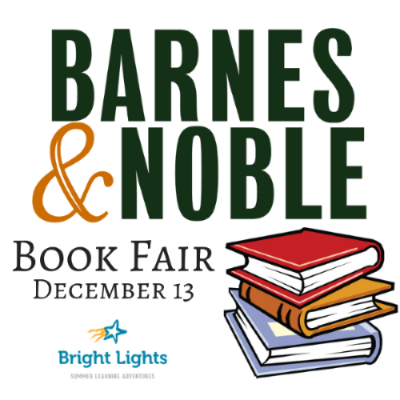 On Thursday, December 13, finish up your holiday shopping while supporting Bright Lights at Barnes and Noble SouthPointe. 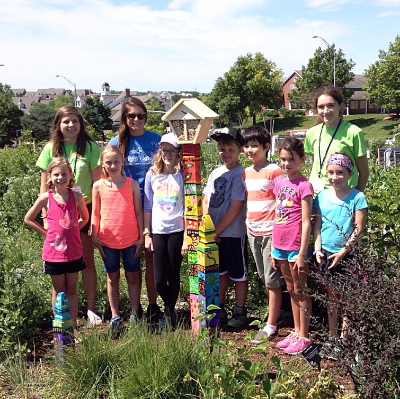 The purchase of books, toys, music and even treats from the Café all support Bright Lights with a portion of the sales contributing to our 2019 summer scholarship book program. Make sure to bring the kids: There are Bright Lights experiences to keep them busy while you shop! From 5:00-6:30 pm learn all about a bearded dragon and a snake at a critter encounter thanks to Bright Lights teacher Sheila Ziems! At 6:30 pm, Bright Lights teacher Aileen Wiles will show you all there is to know about the art of Pokemon! Plus, follow the clues around the store to solve the cryptic puzzle and you will be placed in a drawing to win a gift certificate for a class in summer 2019. And don’t forget to mention Bright Lights when you check out! Do you have family or friends who live in a different town? No problem—just give them our book fair ID (12465670) and they can shop in any Barnes and Noble in any city AND support Bright Lights, too! Can’t make it in to shop that day? No problem! You can still support Bright Lights by shopping at www.barnesandnoble.com from December 13-18. Just enter our bookfair ID (during checkout scroll to the bottom of the payment page, click on "Apply Bookfair ID" and enter 12465670) and have gifts shipped directly to those you’re buying for! Thank you for making Bright Lights part of your holiday giving!